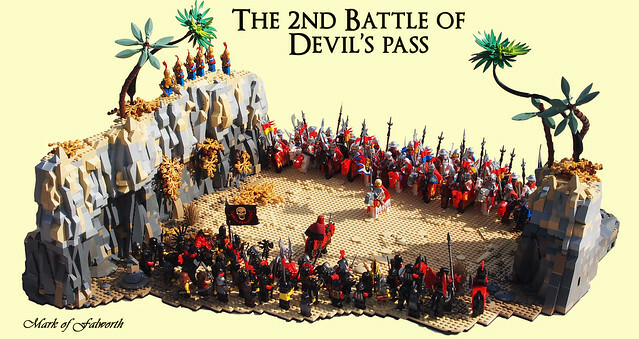 This battle scene by Mark of Falworth is an awesome MOC. I think people fall into a bit of a trap with large builds by making them too symmetrical, and therefore somewhat uninteresting. But look at the shape of this one, by making one cliff side longer than the other, and making the edges undulate, it has interest and dynamics in just the terrain alone. Throw in a few dozen soldiers about to get busy and you have all the makings of epic.